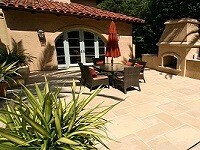 HANAFINN Ole-Repella is a high performance invisible and breathable sealer that protects natural stone, tiles, pavers, concrete and grout from stains to keep them looking good. Ole-Repella is a technological step forward from common penetrating sealers, providing a superior level of protection for a competitive price. Ole-Repella’s sealing molecules are engineered to be much smaller for better penetration, even into dense materials such as granite. 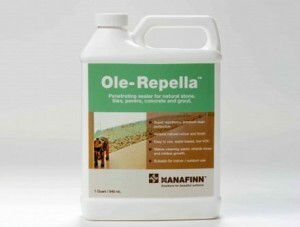 Ole-Repella’s deeper protective barrier stops water travelling right up to the surface where it might cause visible damage. Ole-Repella’s liquid repelling atoms are also arrayed for maximum repellence, providing superior stain protection.